Courtney, a budding artist, recently shared a class project with us. Her assignment was to redesign a movie poster. She could change the original genre or style of the movie to something completely different and reflect that style in a new poster for the movie. 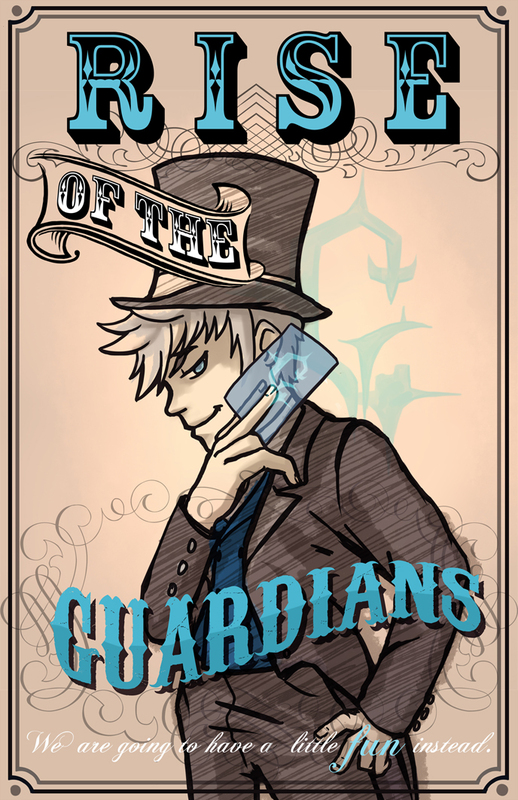 Courtney changed the movie “Rise of the Guardians” to be a film about Victorian con-artists. To give her poster just the right look, she modeled her imagery after our very own Graydon Wentworth. We give her an A+ for style and good taste. . Have you done any art inspired by our retro-fashions that you would like to share, if so let us know?